In May 1940, following the rapid advance of German troops through Holland, Belgium and France, the British Expeditionary Force and French army retreated to Dunkirk. Operation Dynamo was instigated in an attempt to rescue as many of them as possible, but Winston Churchill - British Prime Minister for barely a fortnight - doubted they would amount to many more than 30,000. In a very short time, the Admiralty managed to round up about 700 privately-owned boats which, along with 220 military vessels, were able to help with the evacuation. With the harbour at Dunkirk severely damaged, the majority of the smaller boats played an essential role in ferrying troops from the gently-shelving beaches to larger vessels waiting offshore. Over a period of nine days, an astonishing 338,226 troops were brought safely back to Britain. 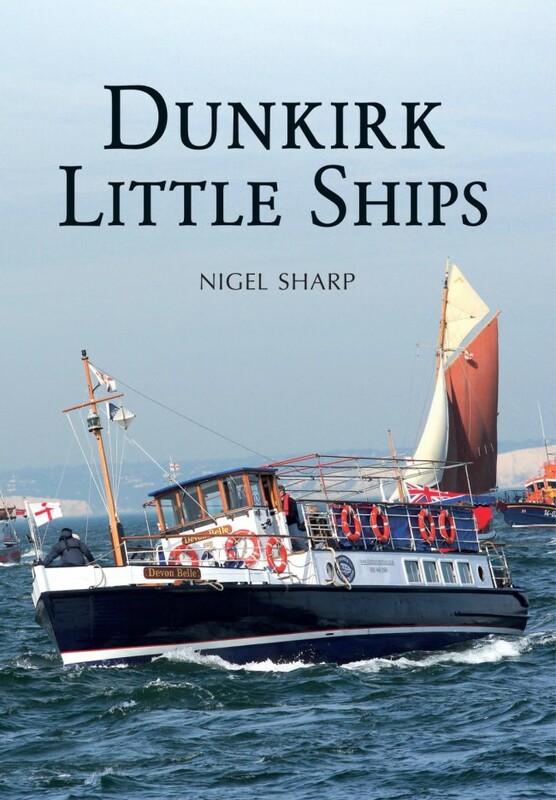 In 1965, 43 vessels which had taken part in the evacuation commemorated the 25th anniversary by crossing from Ramsgate to Dunkirk, and the Association of Dunkirk Little Ships was formed soon afterwards. A further fifty years on, over 120 Little Ships are still in commission and it is thought that hundreds of others may still survive. 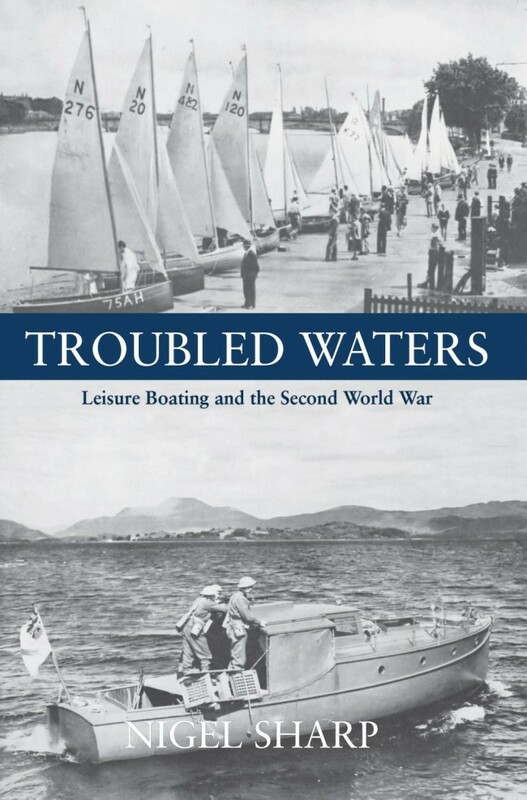 This is the story how the Second World War affected leisure boating: of the people who managed to overcome huge difficulties to go sailing during the war itself and the difficulties of re-establishing the sport in post-war years; of the sailing and yacht clubs which survived bombings, requisitioning, shortages and a host of other problems, and still thrive today; of the yachting magazines which managed to continue to publish throughout the war; of the large numbers of leisure sailors whose skills helped them to make huge contributions to the war effort, and their extreme wartime experiences which gave them the confidence to undertake more adventurous post-war leisure voyages; of the boatbuilding companies which produced huge numbers of essential military vessels - many suffering bomb damage in the process - and their difficulties in returning to leisure work after the war; and of the extraordinary number of privately-owned boats which were requisitioned for war service, for the Dunkirk evacuation and countless other roles, their disposal along with large numbers of military craft at the end of the war, and the war prizes which would become known as the Windfall Yachts. 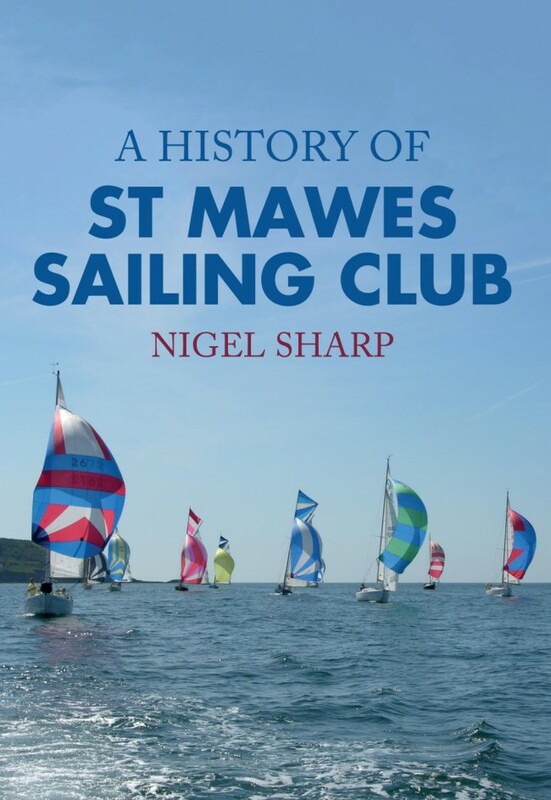 St Mawes Sailing Club was founded in 1920 and has functioned without interruption from that date, with the exception of the war years. Today it is a vibrant club with around 1,800 members. 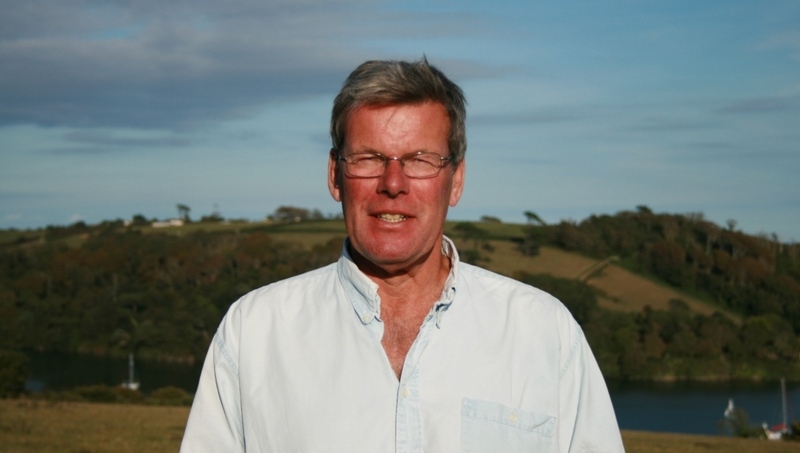 Every year it provides numerous sailing opportunites - both for local people and for holiday visitors - including around sixty club races; championship events for at least half a dozen classes, both traditional and modern; several cruises-in-company to other local ports; and formal instruction and races for hundreds of children. Its magnificent clubhouse, which has stunning views of the start line and St Mawes Harbour, provides a comfortable and lively setting in which members and guests can meet socially. Featuring nearly 200 wonderful images of a variety of stunning boats, Classic Boats offers an accessible, beautifully illustrated guide to some of the boats that can currently be found at sea. 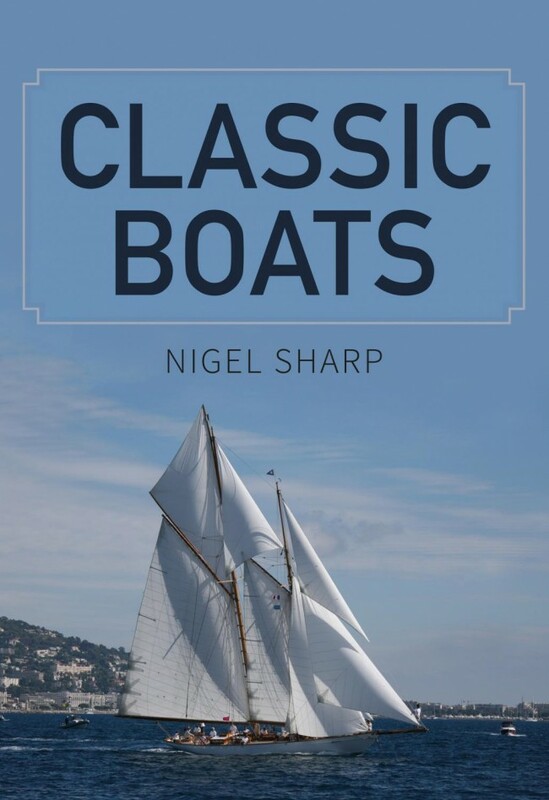 With a range of vessels on display, some dating back more than a century, Nigel Sharp's passionate writing truly brings the subject to life and shows the tremendous variety of restored boats currently available. Classic boat regattas continue to grow in number and popularity, and the breath-taking range of restored boats shown in this lavishly illustrated volume offer some explanation of why they continue to captivate the hearts and minds of boating enthusiasts and the general public alike. This is the story of two single-handed non-stop round-the-world voyages: Robin Knox-Johnston’s in 1968/9 and Ellen MacArthur’s in 2004/5. Although there were similarities (both voyages started and finished in Falmouth, for instance, and neither sailor was in a conventional race) the story is mainly one of contrasts, mostly as a consequence of 36 years of technological developments. These gave MacArthur the opportunity for a considerably faster voyage, but that didn’t necessarily make things any easier for her. When Knox-Johnston set sail in Suhaili, no one knew if it was possible for a human being or a boat to survive such a voyage; and when MacArthur commissioned her boat B&Q, many considered that a high-performance trimaran of that size could not be safely sailed around the world by one person. Whatever comparisons are made, the question as to which was the greater achievement is futile: both voyages were utterly remarkable. 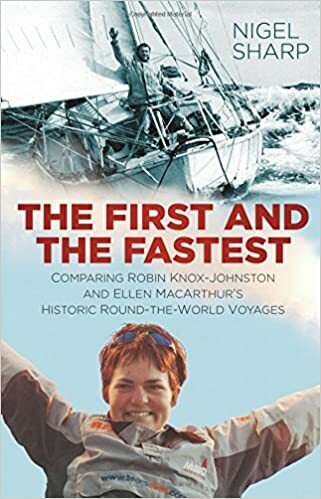 MacArthur is no longer “the fastest”, of course – her time has since been beaten by three Frenchmen – but she is still the fastest British solo circumnavigator, while Knox-Johnston’s record as “the first” will be there for all time.